It's time for a party, and for every special occasion you need the perfect finishing touch to your festive outfit. With Have an Arm Party! 30 Stackable to Make, we have all the options you need to create a blended bracelet look that is just for you. Embrace the DIY bracelet craze with this collection of cool bracelets to make for all occasions and styles. 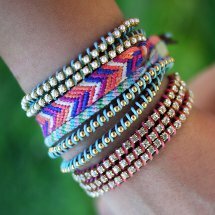 These fabulous bracelets are perfect for stacking, and can provide you with a trendy layered look. 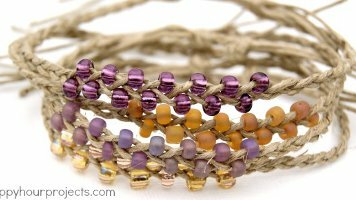 From wrap bracelets to macrame patterns to braided hemp bracelet patterns, you are sure to find several bracelets for you amongst this collections of DIY bracelet patterns. With all of these amazing and versatile designs, you will be ready to create your own set of layered pieces. 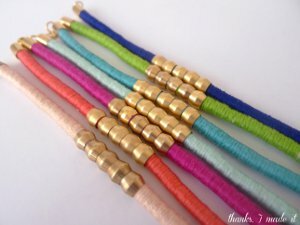 Do you love to make bracelets? 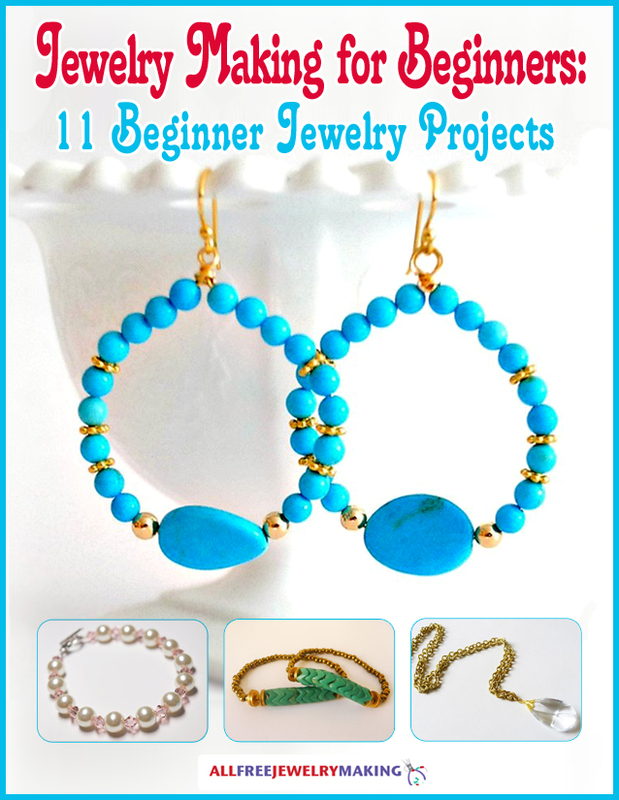 If you do, then you will love our free eBook, Easy DIY Bracelet Designs: 14 Ways to Make Bracelets! Wrap bracelets are all the rage these days, and it isn't hard to see why. 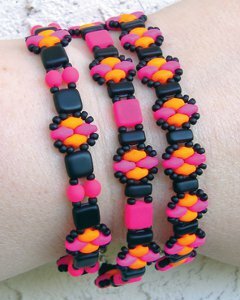 These fun and fashionable bracelets over a range of possibilities. From leather to satin to beads, so many elements can be used to make these stylish, yet simple homemade bracelets. It's no wonder that macrame bracelets are hugely popular. This effortless DIY fashion fad takes no tools and few supplies, so it's easily accessible to all. You are sure to find a knotted design to fit your fancy with these marvelous macrame patterns. Do you want more macrame bracelet patterns to make? 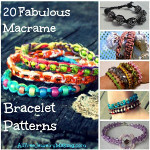 With this collection of 20 Fabulous Macrame Bracelet Patterns,you will have beautiful bracelet patterns, as well as tips & tricks to macrame jewelry making! Stringing beads is so simple and fun, you are never going to want to stop! Why should you when you can create these easy DIY projects? String up a bunch and mix-and-match for several fashion-forward looks. Beads are the best, but when hot weather hits, beads, wire, and heavy chains can wear you down. That's why you need these hemp bracelet patterns. Most hemp bracelets require very few tools, and a super easy to make. 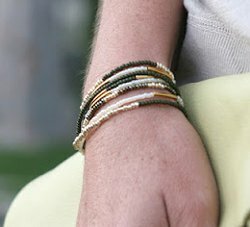 Make sure you try out some of these DIY hemp bracelet projects for your next layered look. Still can't get enough of these amazing bracelet tutorials? Never fear, we have a few extra patterns for you to try out. Do you like the hemp bracelet patterns above? 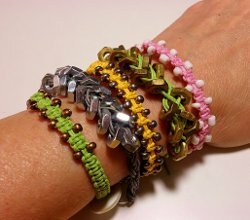 If you do, then you will also like this collection of 20 Easy, Breezy Hemp Bracelet Patterns!